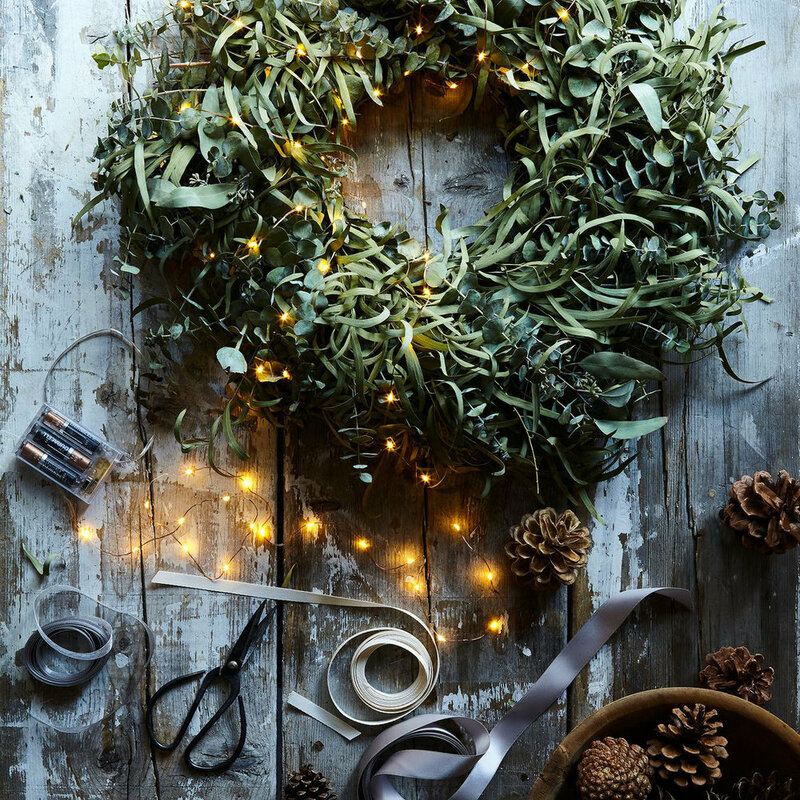 Nothing could be more fragrant or beautiful than natural wreaths decorating your home during the fall and winter holidays. Whether it's the scent of eucalyptus or the combination of eucalyptus with artisan cedar or boxwood, the aroma inspires celebration and a beauty that is clean and natural, a nice substitute for artificial scented candles. 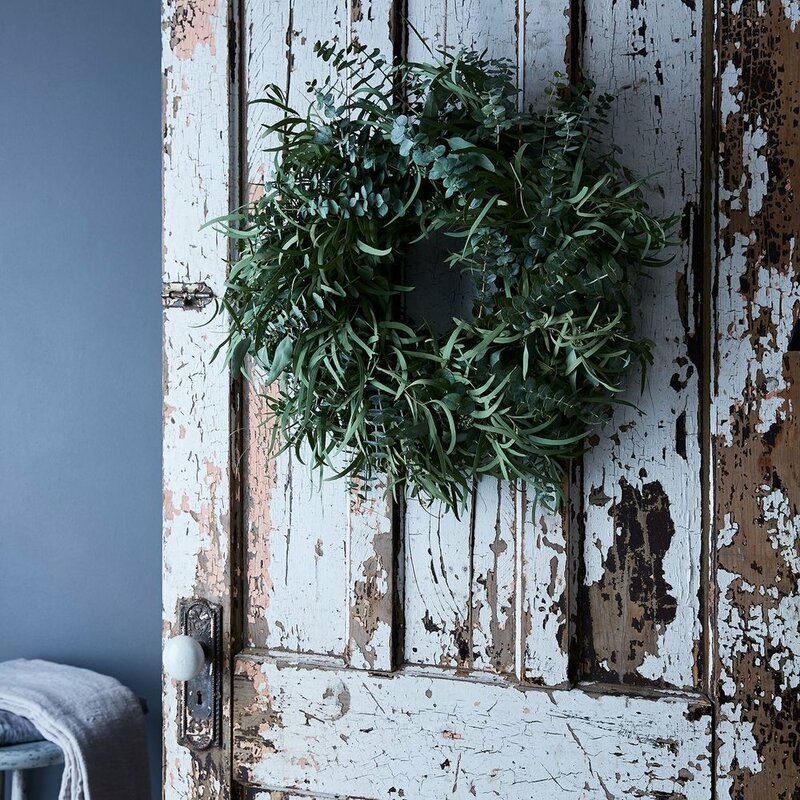 Wreaths add an element of design with a touch of fragrance that makes your home warm and inviting. These featured wreaths from Food52 are ready for hanging over a mantle, on a door or in any room in your home. They are hand-crafted on Creekside's California farm exclusively for Food52 and are a beautiful, simple alternative to classic holiday wreaths. Food52 came into being out of a deep desire to bring cooks together to share ideas, recipes and ask questions. The site is not just for professional cooks, but for all who wish to learn and perfect the art of cooking. It's also for eaters and that makes just about all of us candidates to explore the vast amount of wonderful information on their site that inspires us to live gracefully. In 2013, Food52 launched their Shop to add artisans and craftspeople to bring their products along to complement the great food ideas and to celebrate the joy of food, cooking and living. In Food52's own words — Because great food isn't just about ingredients, it's about everything that makes a meal – it's the platter you serve tacos on; the composter in your kitchen; the knife you take on picnics; the beeswax candles that burn on your table; and the honey from the same apiary that you stir into your tea. 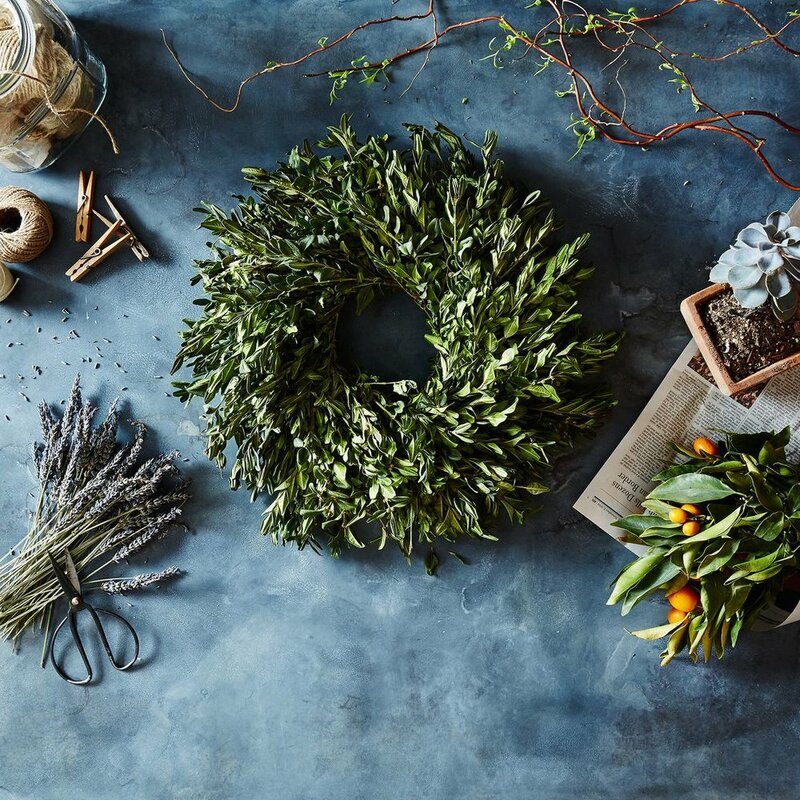 So in keeping with this generous spirit for living, here is a perfect way to add some natural beauty to your holiday home decór with these stunning natural wreaths that will far outlive the holiday season. 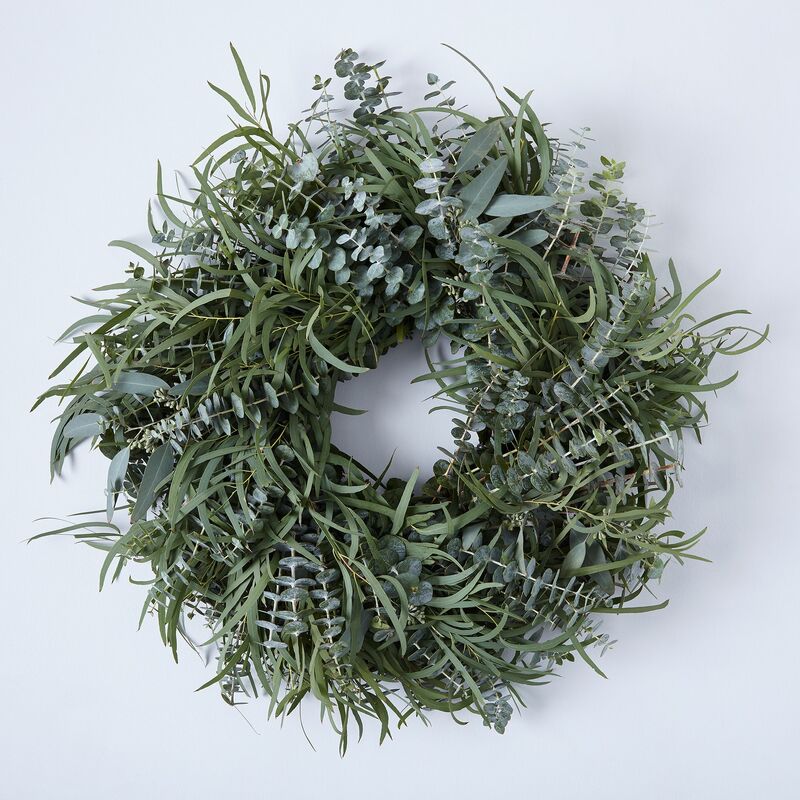 This Mixed Eucalyptus Wreath is made from several different types of eucalyptus branches - spiral eucalyptus, silver dollar eucalyptus and willow eucalyptus. It makes a perfect hostess gift for holiday parties, or just keep it for yourself to dress up your home for the holiday season. 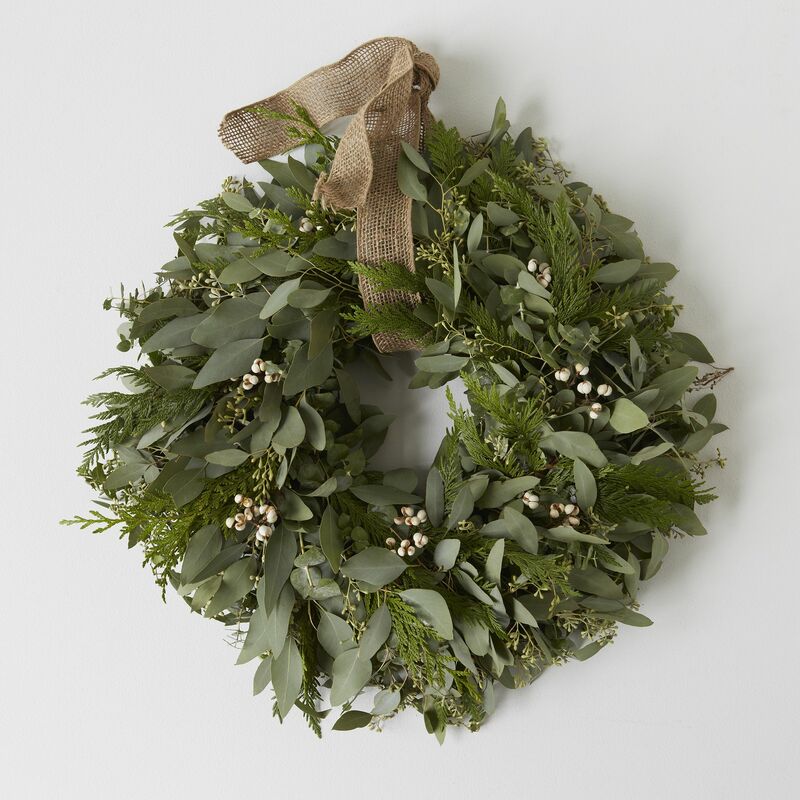 The Cedar & Eucalyptus Wreath with Burlap Ribbon uses the unusual combination of delicately fragrant cedar, mixed eucalyptus, tallow berries and a burlap ribbon. An extraordinary holiday wreath that adds a touch of wonderment to your home decór. 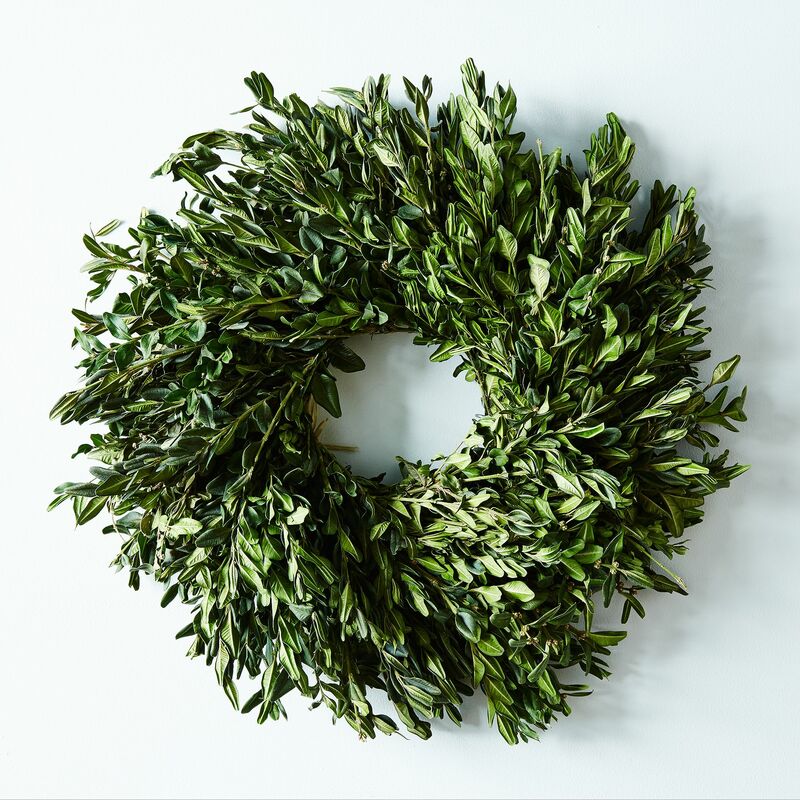 This classic, organic Boxwood Wreath is handmade with fresh boxwood and will dry naturally in the position in which it’s hung. It’s a timeless treasure that goes with any decór and can be tailored to your style by adding clippings. In this way, no two wreaths are the same. When your package arrives, open it promptly and hang your wreath. Try to keep it out of the direct sunlight and with proper care and handling, the wreath should last up to 1 year! No fuss, no mess! Instant beauty! Enjoy!